The Nigeria Physiotherapy Network join colleagues from around the world in celebrating and congratulating Professor Babatunde Olusola Adeleke ADEGOKE on his promotion as Professor of Orthopaedic Physiotherapy by the University of Ibadan. Professor B.O.A. Adegoke joined the swelling number of colleagues in the Nigeria Physiotherapy family in academia to be so honoured and elevated. Professor Adegoke is a B.Sc (Physiotherapy) graduate of the University of Ibadan, Ibadan, Nigeria (1977). Upon graduating from the University of Ibadan, Professor Adegoke served his one-year national youth service at the General Hospital, Owerri where he founded the Physiotherapy Unit under the Department of Physical Medicine and Rehabilitation (August 1977 - July 1978). Thereafter, he joined the Oyo State Ministry of Health as a Physiotherapist in August 1978 and was seconded to State Hospital, Oyo, Oyo State. Professor Adegoke was part of the team that ran the innovative and Itinerant community physiotherapy services of Oyo State. The itinerary programmes were designed to take physiotherapy services to patients in the towns of Ilora, Iseyin, Saki and Iseyin. In 1982, Professor Adegoke proceeded to the School of Health-Related Professionals, University of Pittsburgh, Pennsylvania, USA where he earned his MSc degree in Sports & Orthopaedic Physiotherapy (1984). Upon his return to Nigeria in 1984, he continued in clinical practice of physiotherapy with the Oyo State Hospital Management Board, rising through the rank to become a Principal Physiotherapist I. In 1988, he proceeded to the Kingdom of Saudi Arabia where he worked as a Senior Physiotherapist until December 1993. Professor Adegoke started his career in academia in 1996, when he joined the academic staff of the Department of Physiotherapy, College of Medicine, University of Ibadan as Lecturer I. He subsequently furthered his studies through admission into the MPhil/PhD degree programme of the Department of Physiotherapy, University of Ibadan in 1998. He was one of the pioneer post-graduate physiotherapy students. He subsequently earned his PhD degree in 2003. Professor Adegoke was promoted to the rank of Senior Lecturer in 2002. In February 2012, he was offered promotion and appointment as an Associate Professor (Reader) of Physiotherapy by the University; an offer which he declined. At the time, accepting an Associate Professor position would have meant that he could not apply for full professor position until 2016. (Processing of Professorial appointments sometimes take a few years, before promotion and confirmation). Following much thought, reviews, negotiations and further consideration, his rejection of the Associate Professor appointment was accepted by the University, and he was subsequently allowed to apply for full Professor appointment in October 2012. Professor Adegoke is a vastly published author of over 70 peer-reviewed publications in reputable journals. He has served as an External Examiner for Physiotherapy undergraduate and post-graduate programmes in Nigeria and Ghana. 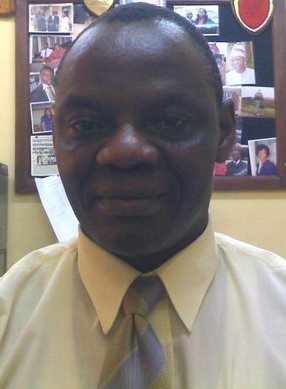 He is also a manuscript reviewer for many peer-review journals within and outside Nigeria and was at different times on the editorial boards of the Journal of Nigeria Society of Physiotherapy, Journal of the Medical Rehabilitation Therapist Registration) Board of Nigeria and the African Journal of Physiotherapy and Rehabilitation Sciences. Professor Adegoke has also offered his services to the University of Ibadan and the physiotherapy profession. For instance, he was the Chairman of the Oyo State Chapter of the Nigeria Society of Physiotherapy (2002-2006), and Chairman of the Education Committee of the Nigeria Society of Physiotherapy (2004-2006). Professor Adegoke was the Head, Department of Physiotherapy, University of Ibadan from 2005-2009. He has mentored over 50 undergraduate student research projects, 20 MSc dissertations, 6 PhD theses and co-supervised 2 PhD theses. Professor Adegoke is married to Mrs. Tayo Adegoke. Their marriage is blessed with three children, Tope, Bolaji and Dotun. Professor Adegoke has also provided various community services through the Rotary Club as a Rotarian. He is a Paul Harris Fellow (PHF). His hobbies include singing and dancing, and tennis. Professor Adegoke loves discussing politics and he is regularly invited to discuss topical issues on television where he is commonly referred to, and introduced as a Public Affairs Analyst. My highest regards and great happiness at your elevation to the esteemed pinnacle rank of Professor. Looking forward to the Induction ceremony, your Inaugural Lecture, and all other high-marks of your arrival. You have sojourned, sowed, and given!! Dear Sir, as a friend and junior, I admire your doggedness, humility, commitment and loyalty. There is so much to learn, within, outside and beyond Physio', from your erudite personality. Please save a seat for me in your classroom. I will hasten to be present, and feel privileged, to over and again learn from you. Congratulations Physio- family, as we crown and witness the crowning of another colossus of the science and art of our great profession, chosen occupation, portal for benevolence to humanity, and service to GOD. Oye a m'ori Sir. The LORD shall Bless "your anointing", and raise your renown, to much greater and lofty heavens. There will be lots of joy in your heart, and in your family over this appointment well deserved elevation. Nigeria, USA, Europe, Arabia, and beyond! In posture and gait, speech and writing, you have offered the sick, disabled and maladious, and, cooled with refreshing tutorship, the cravings of students who hunker at your feet for knowledge. These you raised to your lap and carried in your shoulder, birthing new-lifes, and leaving a trail of hope and growth to yet come. Your excellence in care and teaching, here witnessed! May GOD acknowledge and appreciate your stewardship, even greater than we have heart and memory to witness. Again CONGRATS. Awesome congratulations for a well deserved honor that is long overdue. Many of us outside the country found it difficult to understand why it takes four years to over a decade to obtain the outcome of an application for promotion to professor. A year ago, l asked the same question when l was engaged in the same discussion with my colleagues in Nigeria. In response, l was looked over and told, politely. "Prof, it is one of the Nigerian factor.." And when l asked what that meant? I received a laughing ovation in response. I decided to abandon the conversation. Based on my experience, here in the US, it takes, maximum of 2! Of course with a few exceptions Putting a human life under pressure cooker for four to ten years is inimical to health. Babatunde, your journey to professorship is over. You did it. Now is the time to bring the younger ones under your wings and fly away. Enjoy your life Professor! Hearty congratulations to Prof Adegoke and the Nigerian Physiotherapy profession at home and abroad! Physiotherapy is certainly is a gold fish that can no longer be hidden among medical professions in Nigeria. Six Professors and still counting in the first three programmes in Nigeria! For me, Prof. Adegoke is the second of my doctoral students to become a Professor! I am still counting for more by the grace of God. Professor Adegoke: Congratulations! As the saying goes, once a leader, always a leader. I clearly remember you as a solid person with strong talents and innate leadership potential during our days at Ibadan. Again, congratulations!